Strong team leadership isn’t enough. New research shows the importance—for business impact and career success—of also mobilizing your boss and colleagues (from Patrick’s my McKinsey Quarterly article). Most of the leadership advice aimed at senior functional managers is how to build, align, energize, and guide a world-class team. This is a challenging task in its own right, but we all know it isn’t the whole story. Leaders, even those in the C-suite, must also extend their influence upward and horizontally. Our research confirms this theory, and then some. In a wide-ranging study of the leadership actions of chief marketing officers (CMOs)—a good proxy, we believe, for the skills and behaviors of functional leaders in general—we’ve shown how “managing” the CEO and mobilizing colleagues increases business impact and career success. 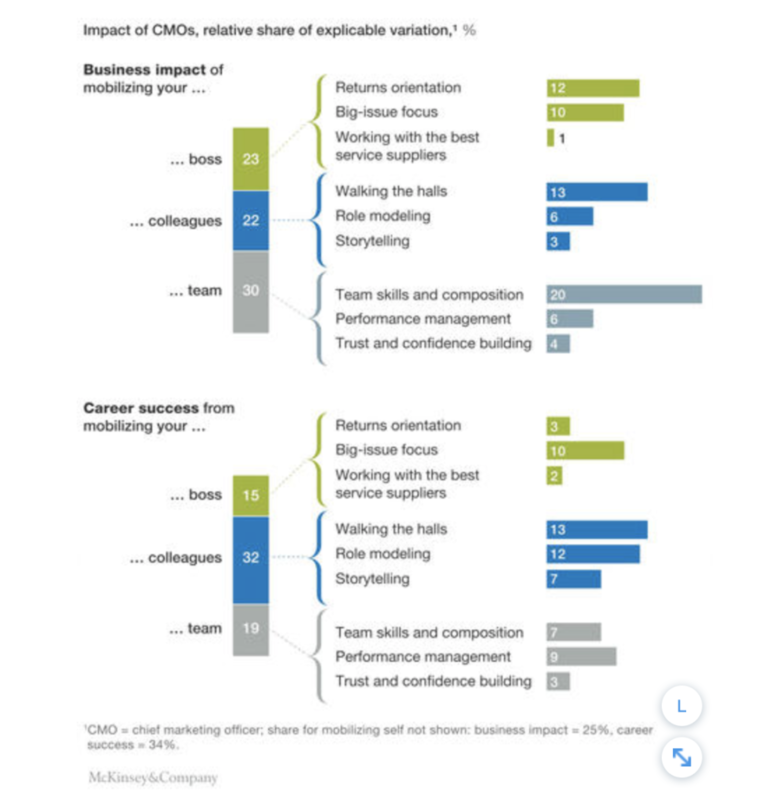 (For leadership research on another C-suite proxy, the CFO, see “How functional leaders become CEOs.”) To test our hypothesis, we asked more than 1,200 senior marketing executives from 71 countries about their perceived business impact (contribution to revenue and profit growth), their career success, and their characteristics against 96 variables. Using statistical techniques (explained below1 ), we were able to relate to these outcomes the 96 variables (which included leadership behaviors, functional skills, personality traits, sociodemographic variables, and external factors, such as peoples’ fit with the company). We supplemented this research by analyzing existing 360-degree data on 7,429 marketing and nonmarketing leaders—a total of 67,278 individual evaluations by these leaders’ bosses, peers, subordinates, and themselves. Our findings lend support to the notion that senior executives should pay more attention to mobilizing their bosses (managing upward) and functional colleagues (managing horizontally) (exhibit). Taken together, these upward and horizontal actions were about 50 percent more important than managing subordinates for business success (45 percent versus 30 percent)—and well over twice as important for career success (47 percent versus 19 percent). Managing upward and horizontally can improve your business impact and career success. Clearly, there’s more to success than managing up and sideways: leading a high-performance functional team accounted for 30 percent of the explained variation in our CMOs’ business impact, and 19 percent for career success, and managing yourself accounted for the remaining variation. Mobilizing subordinates, in particular, is the base executives need to build from if they want to establish credibility with the CEO and with colleagues. The best executives build strong teams, relentlessly enhance team members’ skills, keep subordinates focused with objective performance measures, and establish an environment conducive to trust and loyalty. But are functional leaders well aligned with the CEO’s agenda? Seventy-six percent of our CMOs said yes—but just 46 percent of the bosses in our 360-degree database believed their marketers knew where the organization was going. Many functional leaders, it seems, could and should better align with the top. Building a reputation as an effective user of resources also increases standing with the CEO. In our study, the ability to demonstrate returns explained 12 percent of CMO business impact and 3 percent of career success. Here, we again found a gap: while 67 percent of our CMOs said they had a strong returns orientation, only 39 percent of C-suite executives in another study reported that marketing executives were delivering measurable return on investment for their expenditure. If you want to build a “movement” within the company, lead from the front with an inspiring story to win the hearts and minds of colleagues, including those who don’t report to you, and with a clear action plan to deliver tangible results. That can initiate a virtuous circle of internal recognition by energizing a cadre of early followers among colleagues. Our research suggests that leading from the front and having a strong narrative together explained nearly 10 percent of business impact and about 20 percent of career success. The ability to reach beyond the marketing silo to executives in areas such as IT and finance explained an additional 13 percent of the variation in both business impact and career success. Only 56 percent of CEOs, however, described their marketing leaders as role models who lead from the front, and only 61 percent of CMOs said they use their storytelling skills. Tellingly, while marketers are adept at telling stories that mobilize customers to buy their products, we find they are less likely to ply that strength internally, despite the importance of effective engagement with colleagues. Mobilizing horizontally means walking the halls, getting out of the office to share ideas with peers, listening to their concerns, and working jointly to attack strategic issues. In theory, leaders could do many of their interactions on video these days. But that’s rarely inspiring. Instead, the best leaders connect directly with as many people as possible through town halls when they travel to local markets, and hunker down to help teams solve their biggest problems. Fortunately, the actions needed to mobilize the CEO and colleagues are often mutually reinforcing. For instance, moves by functional leaders to build support horizontally are often related to their simultaneous efforts to show tangible results and advance the organization’s strategy. While CEOs rely on functional leaders’ ability to build high-performance teams, much more needs to be done to help these leaders extend their influence upward into the C-suite and horizontally across the organization. Happily, our work suggests that not only business impact but also career success redounds to those CMOs (and, we believe, functional leaders of all stripes) who can increase their span of leadership influence upward and across functions. 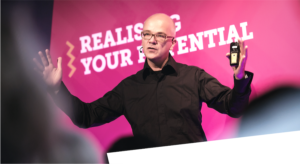 Thomas Barta is a McKinsey alumnus and was a partner in the firm’s Cologne office; Patrick Barwise is emeritus professor of management and marketing at London Business School. 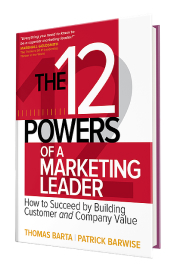 They are coauthors of the new leadership book The 12 Powers of a Marketing Leader: How to Succeed by Building Customer and Company Value (McGraw-Hill Education, September 2016).